Zodiac has manufacturing plants in France, Tunisia and South Carolina. 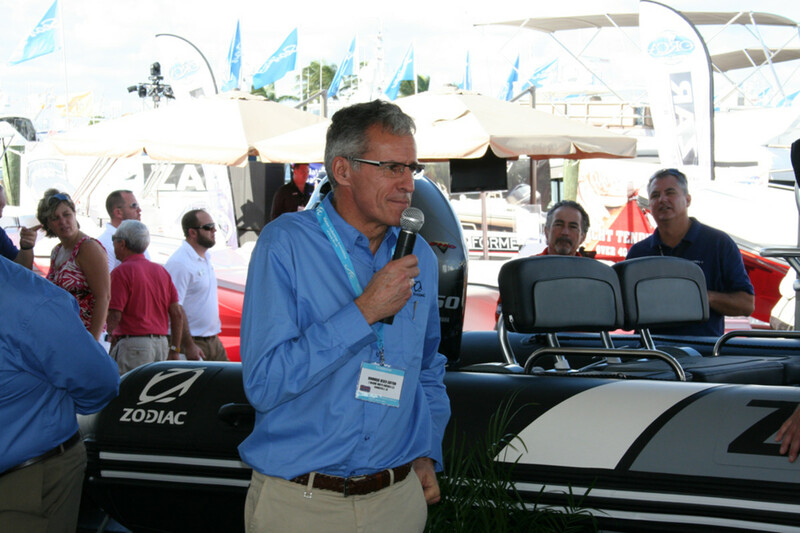 New Zodiac Nautic president Dominique Heber-Suffrin said the French builder will make “accelerated growth” in the U.S. market a priority. FORT LAUDERDALE — Zodiac Nautic, the world&apos;s oldest and largest manufacturer of RIBs and inflatables, said Thursday at the Fort Lauderdale International Boat Show that the industry and consumers should expect a significant revival of the venerable brand. "Zodiac is a wonderful brand. I am no miracle worker, but Zodiac is a sleeping giant," said CEO Dominique Heber-Suffrin, who assumed ownership with partners in July after years of financial trouble for the iconic French builder. Heber-Suffrin said the U.S. market accounts for 40 percent of Zodiac&apos;s global business and that under his leadership "accelerated growth here in the U.S." will be a priority. Heber-Suffrin promised new-boat introductions at the Miami International Boat Show in February, a renewed marketing campaign, new incentive programs for consumers and a reintroduction of the Avon brand.